Many people are fond of having a lot of plantations in their house. The most important thing to consider is that the conditions the plants are planted are optimal and well suited for the plant’s growth. Bamboo plants are one of the very common plantations you will come across in everybody’s place. People have started gifting this plant as it is considered as “lucky.” Once the plant grows, you need to repot the plant to help with its proper growth and development. Those who have had bamboo plantations know that the bamboo grows fast. There is one more specialty about the bamboo tree it is that it flowers once in fifty years. Once your bamboo plant has grown entirely you have to transplant it to the larger area so that it can grow; also it spreads in the area you plant it. You cannot transplant the plant just directly you have to keep various factors while replanting the bamboo plant so that it doesn’t affect the plant’s growth. For understanding it better, read these following sentences to know when to replant the bamboo plant. How to Repot a Bamboo Plant? When and when not to transplant the bamboo plant? You shouldn’t plan on transplanting or transplanting the bamboo plant when it is in the blooming stage. The best time to transfer the plant is the time early in spring or late in fall. Bamboo has strong roots and if taken out and appropriately replanted will start spreading in the area in which you have repotted the plant. How to replant the bamboo plant? After checking all the conditions and making sure that the pant is not, it’s growing, or blooming period you can transplant the plant in the soil. For transplanting it, you will need a sharp axe because the roots of the bamboo plant are quite strong and will need something sharp to cut it. While transplanting it make sure that you are wearing protective eyewear. First mark the area where the bamboo is planted, draw a circle in that area. Now take the shovel or axe and scoop it in the soil as deep as 10-12 inches. Take out the entire plantation from the ground along with its roots. This step might take a lot of strength but make sure you are taking the plant out with its roots to help it grow. Now that you have taken the entire plantation out keep this plant in water or soak the roots in the water as the bamboo plant needs a lot of water. Make sure that you are soaking the roots of the plants in the water as soon as you are plunging it out from the ground. Now you can transfer this plant to the desirable place that you want to replant this plant into. Add water and some manure for providing it with the water as well as the nutrients to help it grow better. Make a little shade for your plant for creating something like a light tent and cover the base of the plant with a fabric or cloth till it starts growing. So, friends, I hope you have found a way to replant your bamboo plant. Make sure that you do the entire process wearing proper clothes and masks to save yourself from any injury. Also, don’t forget to water your plantations generously as transplanting the plant can cause stressed conditions for your plant during which the plants need ample amount of water. 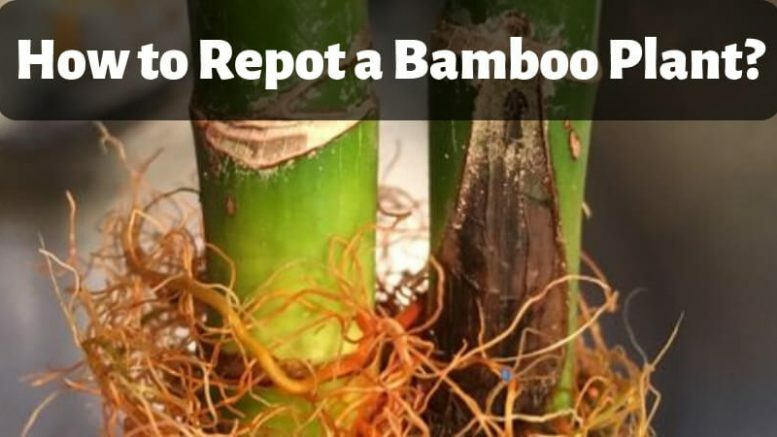 Be the first to comment on "How to Repot a Bamboo Plant? – Best Way to Replant a Bamboo"